Reboots. The new word that strikes fear and excitement into many these days, the number of rebooted or re-imagined films being released increases on an annual basis. Some are released to great applause (The Girl with the Dragon Tattoo, 2011) where some cringe at the very thought of its existence (TMNT reboot). The latest franchise to experience the reboot treatment is Spiderman, the Sam Raimi trilogy slowly dipped after each film with the deplorable ending known as Spiderman 3. Marvel Entertainment and Columbia Pictures brought Marc Webb (500 days of Summer) on board to bring the web slinging hero to the big screen once again. But does this reboot misjudge its landing or swing in to save the day? 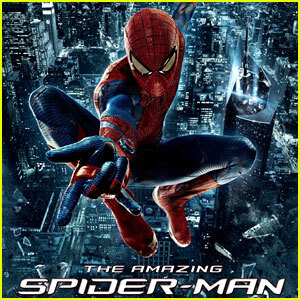 Spiderman (Andrew Garfield) is bitten by a radioactive spider on his visit to the OsCorp Industries building, in search of answers about his late Father Richard Parker (Campbell Scott) which is where his adventure begins. His father’s long time friend Dr. Curt Connors (Rhys Ifans) is creating a bio-chemical to hopefully regenerate his missing right arm from the DNA of a lizard. Forced to trial the chemical early the procedure goes horribly wrong turning him into what we know as The Lizard. 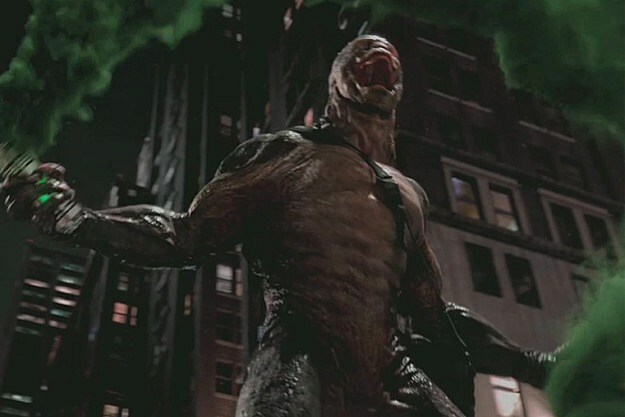 Lizard hopes to wreak havoc on Spiderman and turn the city into their “perfect” form as he believes he has become, Spiderman and his love interest Gwen Stacey (Emma Stone) are then on the mission to try and save the population of New York and either cure, or destroy the Lizard if need be. One of the main things this film was able to capture was a more mature spin on the character, from the emphasis on his parent’s death, to the emotional scene with Ben Parker (Martin Scheen). You are able to feel the struggles and hardship Peter Parker has dealt with growing up without his parents. Finding any hope to try and connect with his father in the form of Dr. Connors, helping Connors along the way and unfortunately creating misfortunes that Peter feels responsible for. The story arc has a more personal vibe, more so then I expected. Following the man behind the mask more so then previous films, this gives a better connection to the character and makes him much more relatable and likeable. Emma Stone and Andrew Garfield provide great chemistry during the film, their intimate moments are captured nicely and their on screen relationship, from awkward beginnings to flourished love is a great journey to watch. Rhys Ifans does a decent job as Dr. Connors and his alter ego Lizard is portrayed very well in CG. The character is digitally animated, but this never felt weird as the character was able to capture the evil and menacing vibe that Lizard possesses. You never felt like Spiderman had a chance against Lizard, which gave that sense of desperation and realism that Spiderman is still just a teenager behind the mask, this realistic tone was brought through brilliantly. Is that your web shooter? Or are you just pleased to see me? The importance of showing the realism to the character Peter Parker is necessary, being your typical awkward outcast that he is, the personal side needed to be touched. Showing Spiderman can be hurt, emotionally and physically. Also being able to display the fact that even though his powers are there, he is still limited to what he can accomplish. This is depicted very well and drives home the fact that heroes are still humans underneath. The Amazing Spiderman delivers on the promise of a good reboot, it provides comedic relief when needed as well as some edge of your seat moments when the 2 main characters are fighting it out, these fight scenes are great to watch. Sure there are a few sequences near the end that become a “stretch” to believe and certain moments become easily predictable. But as super hero movies go, you know what to expect. The movie is able to step aside from the original trilogy and form its own identity, which is exactly what it needed to do to succeed. Be prepared to be caught in his web once again, Spiderman is back. Jamie loves to dress in spandex and skateboard in abandoned warehouses, he declares himself to be Spider-Man…Anyways follow his web slinging adventures on Twitter @Jamierock50, on YouTube and his published articles on WeekendNotes.